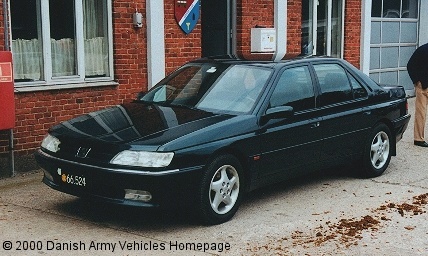 Danish Army Specific: The Peugeot 605 is used by higher-ranking officers (normally generals of a division, etc.). Width: 1.79 m (69 inches). Engine: Own 6-cylinder, type SKZ, 2.975 cm3 (181 cubic inches).